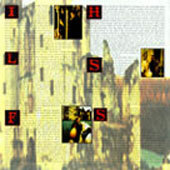 Israel 540 075-2 CD Helicon records issue, Helicon record logo on back and disc, special red picture disc design, made by CDI ltd.
Canada 31454 0070 2 CD without "Everybody laughed but you"
USA 31454 0070 2 Long box first issue in long box, limited edition, without "Everybody laughed but you"
USA 31454 0070 2 CD promo, "promotional" in white on disc, without "Everybody laughed but you"
USA 31454 0070 2 CD without "Everybody laughed but you"
USA D101334 CD BMG reissue, without "Everybody laughed but you"
unknown USA 31454 0070 4 without "Everybody laughed but you"
Equador unknown rare pressing, with full picture on front sleeve and complete different back sleeve. 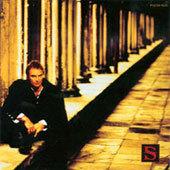 JAP 37 cm 16 cm black and white picture of Sting, Sting in red at the top, details and discography down. 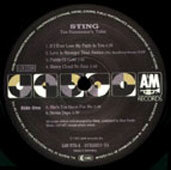 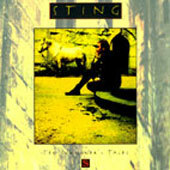 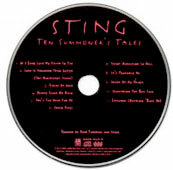 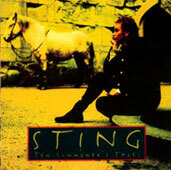 There is tow different design for the disc of the album : some discs are picture disc with picture of Sting face, other are black disc with writtings in red. 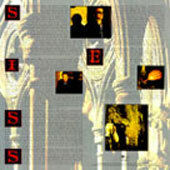 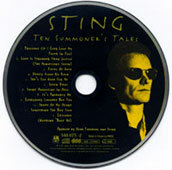 In January 1994, the album was reissued as a 2CD set called "Summoner's Travels collector's box set". 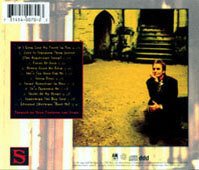 5- Fortress around your heart. 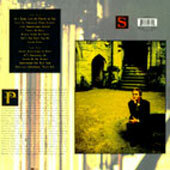 My favourit item are the USA mastering CD & the US long box issue.